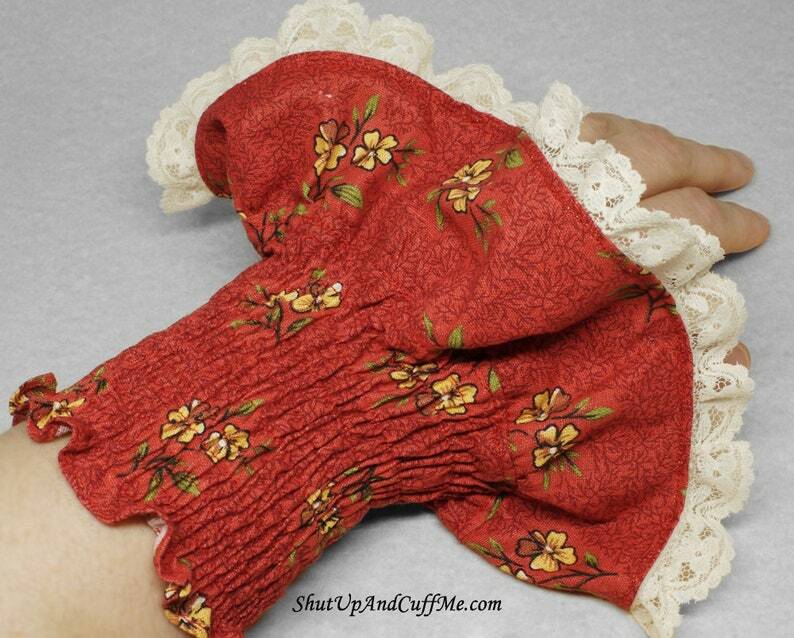 Red smocked wrist cuffs, with yellow flowers and cream colored lace. The wrist portion measures approximately 7", and can be stretched to approximately 11 1/2". This listing is for one PAIR of wrist cuffs. There is only one of this item available. You will receive the exact same item shown in the photos. If ordered before 5pm ET, it will ship the following business day.